This is a LOT OF 40 BRAND NEW & Genuine CISCO ATA-186-I2-A voip Analog Telephone Adapter. All units are brand new and factory unlocked. All come with original package . Total 4 cartons (10 ATA-188/carton). 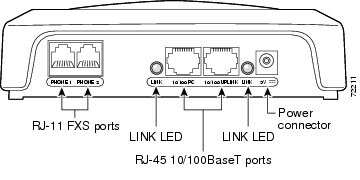 • Two RJ-11 FXS (Foreign Exchange Station) ports—The Cisco ATA supports two independent RJ-11 telephone ports that can connect to any standard analog telephone device. Each port supports either voice calls or fax sessions, and both ports can be used simultaneously.